Yoga supports well-being and helps to clear obstacles, and toxins from your body. 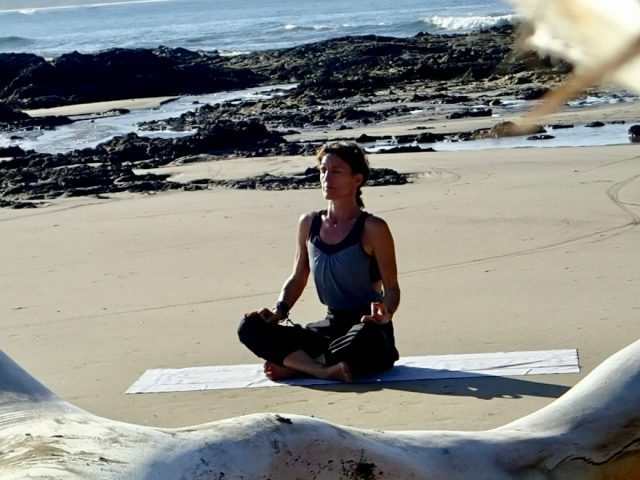 On many occasions, yogis experience a release of emotions through their practice. Why is that? Our emotions are directly linked to our physical body and mindset. Through our life experiences, we store emotions and don’t have much time to process the information. Even though emotions are not directly visible to the eye, and neither through an MRI, they do affect our health and relationships in a considerable way. Most of the stress we experience is directly linked to emotional states and response mechanisms that we have developed through the course of our active life. When we practice yoga, we create space. We open the flow of energy with intention which supports not only the physical well-being and clarity of mind, yet also the relief of emotions. How can we manage those emotions that come to the surface? Some students have asked me how to do to never feel anger again, or sadness or frustration. They had created a core belief and negative judgment about those emotions. All emotions have a purpose and it is our mission to learn to manage them with acceptance, compassion, and intention. There are no negative emotions, they are just “emotions”. What can transform them as negative or positive comes from our judgment as well as how we relate and channel them. If we express anger with aggression it can become negative. If we express anger by setting healthy boundaries and by finding the courage to express our values. Then this same emotion becomes positive. If your intention is compassion, this same intention will serve you to channel your emotions with compassion. This will lead to a better relationship towards yourself and others while honoring emotional intelligence. Emotions are directly linked to your vital energy. They are directly linked to the source of energy reflected in the water element. Honoring your emotional states while channeling them creatively will support a harmonious practice and nurture a healthy relationship.